Thycotic, a global leader in IT security, is the fastest growing provider of Privileged Access Management solutions that protect an organization’s most valuable assets from cyber-attacks and insider threats. Our mission is to make self-sufficient security champions, by making security tools people love to use that make privilege management achievable for everyone. We help organizations protect what matters most, by limiting privileged account risk, implementing least privilege policies, controlling applications, and demonstrating compliance. We have over 10,000 customers worldwide ranging from small IT shops to Fortune 5 companies and are adding new customers each day! We are Rated #1 in customer satisfaction, achieving a 96% renewal rate! We are among Inc. 5000 Fastest Growing Companies six years in a row! 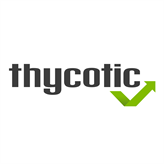 Want to get notified about new jobs at Thycotic?